The term PSARA stands for Private Security Agency Regulation Act. It is something that you need before you start a private security business here in India. A private security agency is one that is supposed to provide private security guards and various other related services to establishments that hire their services. They are supposed to act as alternates to the local police. It is the Private Security Agencies Regulation Act, 2005 – also known commonly as PSARA Rule 2005 – that takes care of the working of private security agencies here in India. After the PSARA Act was enacted it has now become obligatory for all such businesses to get a license from the concerned state level controlling authority for such work. What are the advantages of PSARA license? 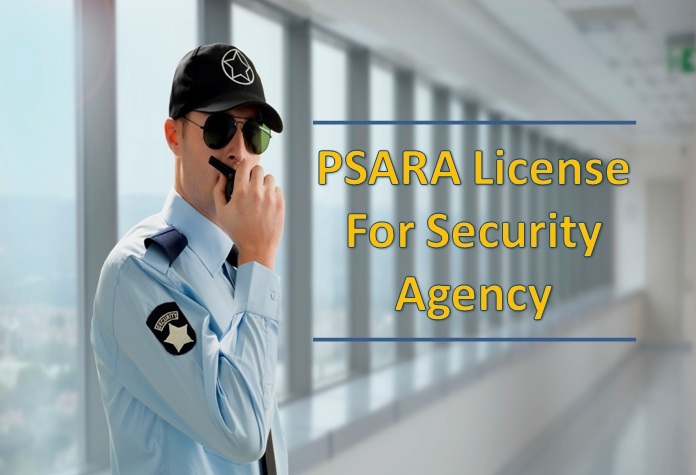 One of the biggest benefits of the PSARA License for Private Security Agency is that your business gets the credibility that it needs in order to succeed in a market that is as competitive as India. As such, security happens to be a rather serious issue and one can only trust service providers who have the necessary approval from the government to do such work. Thus, when you get such a license it increases the levels of your business credibility at each and every step of the way. Apart from that you are also able to function smoothly when you have the license as well. This is because once you get such a license you can rest assured till the time you have to renew it. What are the eligibility criteria regarding PSARA? At a very basic level, any Indian company can apply to get PSARA license in Bangalore Karnataka or anywhere else in India for that matter. The same is also applicable for firms as well as association of persons. If the applicant happens to be a company the majority shareholder has to be an Indian. Apart from these there are also some other conditions which have to be satisfied. The applicant company or person should not have been convicted of any offence with regards to promoting, managing, or forming the company. In general, the applicant person or company should not have been convicted of an offence where the prescribed punishment is imprisonment for a minimum of 2 years. The company or person in question should also not have any links to any association or organization that may have been banned under any law in India because of activities that posed any threat to the public order or national security of India. If the applicant is an individual she or he should not have been expelled or dismissed from government service on accounts of moral turpitude or misconduct as such. What are the documents required in regard to PSARA registration? What is the process for getting the PSARA license? For getting registration certificate of private security agency under PSARA Rules, 2005 and 2008; the parties have to meet the eligible criteria, documents and follow these essential procedural steps. The first step that you need to take when you’re applying for the PSARA license is to check the entire document that you are submitting with your application. You need to gather them, notarize them, and submit them in the prescribed format as well. In the next step you need to sign an MOU with a training institute. This needs to be done for your guards as well as supervisors. You also need to keep in mind that the training institute should be a recognized one. In every state you would get security training institutes that have the necessary recognition that allows them to impart such training in the first place. In the third stage you would have to go for antecedents verification. In this case you would have to file the necessary details in Form-1. In case the applicant is a firm, an association of persons or a company each proprietor would have to file a separate verification form. This is also applicable for the majority shareholders, directors, or partners with regards to the type of company. After this you would have to file your application with the necessary documents at the controlling authority in your state. After this the application would be processed for the purpose of verification. Once the concerned police authorities have provided the NOC (no objection certificate) the controlling authority would either grant the license or reject the application. In case of rejection a definite reason would be provided as well. It takes a total of 60 days for the process to be completed and it starts from the date that you applied for the license. You can apply to work at 5 districts in a state at the most at a time. However, you need to keep in mind that the application process is different with respect to each state. There are also certain conditions that have to be fulfilled in this particular regard. As per rules and regulations of PSARA you would have to employ supervisors in order to monitor how well the security guards are working. You also need to provide the skills and training that the supervisors need in order to do their work the right way. You should ideally prefer people who have served for at least 3 years in the armed forces of India for the work of supervisors. The Act also mentions the criteria for disqualification and qualification of the security guards. You need to adhere to them as well. How long is the PSARA license valid? The PSARA license is valid initially for a period of 5 years. However, you can always renew the same for a period of 5 years by paying the necessary fees. What are the prescribed fees for getting such a license? If you a private security agency that is operating in just one district you would have to pay a fee of INR 5000. In case you are operating in between 2 and 5 districts you would have to pay INR 10,000. In case you are working in an entire state you would have to pay INR 25,000. How to Get Trade License in Bangalore? How to Apply for Trademark Registration in Bangalore? MCA has introduced a new e-form INC 22A to update the KYC details for all types of companies registered with MCA. All particulars including company registered office has to be file in this form to mark as active status ok and it is mandatory for all entities. The Ministry of Corporate Affairs has notified the Companies (Incorporation) Amendment Rule, 2019; under which all the companies who have registered/ incorporated on or before 31st December 2017; are required to file e-FORM ACTIVE (Active Company Tagging Identities and Verification) INC-22A form on or before 25th April 2019. The purpose of e-Form ACTIVE is to update the details of the company so that it would not be treating as inactive. The company incorporated before December 31, 2017; are needed to file eForm INC-22A on or before April 25, 2019. If you are failure to file e-Form ACTIVE in time and doing it same later, you’ve to pay a penalty of Rs. 10,000 as late filing. And if you’re not filing/ complying this form, the company will be marked as “ACTIVE Non-Compliant” in MCA Master Data. What shall be the effect of ACTIVE Non-Compliant? Who shall not be allowed to file e-Form ACTIVE? The companies who’ve not filed/ update the following things are restricted from filing of e-Form ACTIVE. For this, the company has to file the details with Registrar first, then they can move for filing of INC-22A. Who are exempted from filing of e-Form INC 22A ACTIVE? Look at the info image of FORM NO. INC-22A, you'll get a clear-cut idea about what it is. And will have to fill the mandatory fields as well as optional to make your company as ACTIVE. How to Start a Startup in Bangalore? How to Register a Company in Bangalore India? 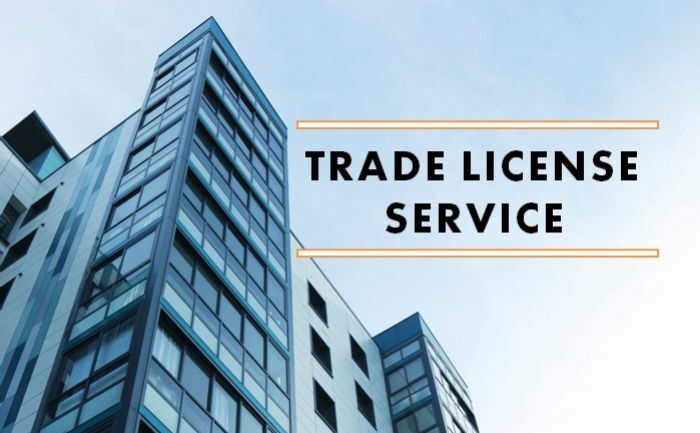 How to Obtain Trade License in Bangalore? A trade license can be called a document or certificate that would provide permission to you – the applicant – to start a particular business or trade at a location of his choice. However, you should also keep in mind that you do not have the right to do any business other than what is specified in the license. Apart from this, you also need to know that you do not get any right of ownership as such by holding this license. This means that if you wish to do a particular business in Bangalore or any other part of Karnataka for that matter you would need a Karnataka trade license. You need to know that you must need this license before you start operations as such. Ideally you should apply at least 3 months before you intend to start your business. Why is trade license required? Trade license such as the BBMP trade license (BBMP stands for Bruhat Bengaluru Mahanagara Palike) have been issued in India for the last 40 years. In each state of India this is controlled by municipal corporation acts that have been passed by the respective state governments over there. This makes sure that no one would be affected by any nuisance as such. At the same time it rules out any health hazard happening as a result of the business as such. This is also a way of making sure that there are no immoral business practices being followed at any location as such. This license creates a sense of harmony from an overall social perspective. It makes sure that all the businesses are following the rules and guidelines that they need to follow for the kind of industry that they are in. It makes sure that they are adhering to all the safety measures that they have to take for their line of work. As has been stated before, if you want to do a particular business in a particular area of the state you would need a trade license. Means the owner of the business must need this license certificate to run well its trade on certain places. And for this, you need to know how to get new trade license in Bangalore. There are three kinds of trade licenses – (a) industries license, (b) shop license, and (c) food establishment license. Small, medium, and large scale manufacturing factories need to apply for the industries license. Who issues a trade license? These licenses are issued by licensing departments of the municipal corporation of the area where you want to do the business. There are different departments for this such as industries, health, and engineering, to name a few. These licenses are authorized by the government of India in such a way it can be regulated on a city wide basis throughout the country. The permissions in these cases are granted through media such as documents, certificates, and letters. In Karnataka, the trade license consultants in Bangalore could help you to explain the facts and able to get/obtain the certificate for your business. What documents are needed in order to register a trade license in Bangalore? How to apply for trade license in Bangalore? These days, thanks to the likes of professional consultants it has become easier to perform trade license registration in Bengaluru. These companies would do all the work on your behalf. It would start with filling up their online application form that is rather simple to fill up. You also need to submit certain documents along with. After this comes the process of registering for the trade license. Here you would be required to provide all the information that you need in order to get the work done. It normally takes around 12 working days to complete this part. After this your service provider would create all the documents that are necessary in this case along with the applications. It would then file them on your behalf. It takes around 2 days to complete this part of the work. After that your license would be sent to you through a courier. At this stage you would be best served by maintaining 2 to 3 copies of the same. How long are trade licenses certificate valid for? In India trade licenses are valid for a period of one year. This means that you would have to renew them each year. As per the source, from April 1, 2019; BBMP shall issue trade licenses with 5 years of validity. How to know application status? To know or check the status of application for trade license in Bangalore, you’ve to visit BBMP online portal and make query on there. 2. Click on “Online Trade License New Registration (For Public)” button, you’ll be dived to Trade License System page. Here scroll down your mouse, you’ll find “To Know Your Application Status” link. 3. Click on this link, enter “Application No.” and click on “Get Status” button. You’ll get the status either as Rejected or Pending or Approved. How to renew trade license? Statistics say that in India trade licenses are renewed each year between 1st January and 31st March. You have to apply to renew the license from within a period of 30 days from the date when the license is supposed to expire. If you delay in this process of renewal, you may have to pay fines. However, it all depends on the rules and regulations of the authority that has issued the license in the first place. In these cases you need to submit documents such as the original copy of your trade license, the challans of the earlier year, and updated receipt of the property tax paid by you. How to Setup a Company in Bangalore? How to Get Food License in Bangalore? Before you decide to go for ISO registration in India, it is very significant that you know what ISO is. ISO stands for International Organization for Standardization. As the name may tell you, it happens to be an organization that works self-reliantly and its primary function is to develop international standards. Some of the most prominent examples in this case would be ISO 14001, ISO 9001 and ISO 18001. ISO 14001 deals with environmental management, ISO 9001 deals with basic quality management and the latter deals with occupational health & safety management system. However, they do not really issue any ISO certificate as such nor are they involved in such certification in any shape or form. As far as certification in India is concerned, this function is performed by some external entities. This autonomous body provides standards to demarcate the quality, efficiency, and safety of the products and services being provided by you. These days, the level of competition is increasing as far as the world of business is concerned. This means that as a business you have an obligation to deliver the highest quality in terms of goods and services so that you are able to sustain yourself in the market. ISO registration means getting certified of certain ISO standards for the company/ organization from the certifying body. The process of ISO registration can be described as one whereby you get your ISO certificate. If you wish to know how to get ISO registration certificate in Bangalore, it is always better to get in touch with an ISO consultant in Bangalore. They could explain the most essential things and direct you to follow that process. What is ISO Certification in India? 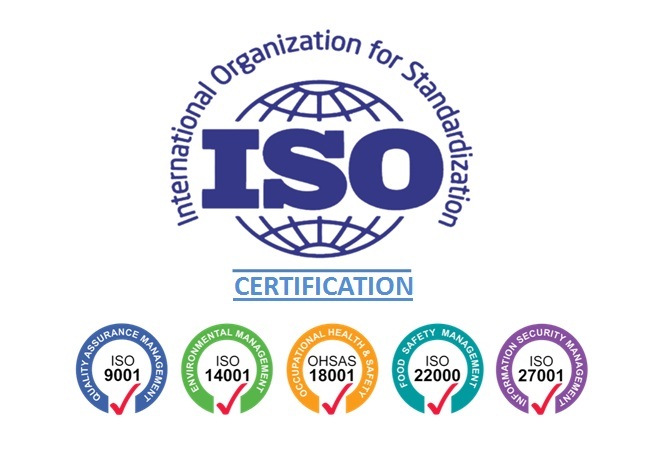 When you receive an ISO certification it greatly adds to the reputation enjoyed by your company in the market. Having such certification means your brand is a credible one and can be trusted upon to provide the kind of quality that the customers may be looking from the same. However, you need to keep in mind that this certification is in no way a license or permit as such. How many ISO standards are there? Why should you have ISO certification? What are the prerequisites for ISO certification? In order to obtain an ISO certification, you first need to choose the kind of certification that is applicable for your business. You can refer to the above table for this purpose. You would already know by now that ISO does not provide any certification to the companies and it is done by external certification bodies. This is why laws make it mandatory for the certification body to be a credible one. As an entrepreneur when you are selecting such a body there are a few things that you need to look at. First of all, judge a number of bodies that are doing such work. After that, check if the body in question is using the CASCO standards or not. CASCO is basically the committee of ISO that takes care of issues that are related to assessing conformity. These standards happen to be the most relevant in this particular regard. Also verify if the certification body has the necessary accreditation or not. As far as accreditation is concerned in these cases it is not mandatory. However, they should at least meet the standards that are demanded from such a body. What are the documents needed for ISO certification? To help you get started for ISO certification, we have summarized the procedure in 6 simple steps. Take a look into this. 1. In the first step of the process you need to make an application. This would happen once you are done choosing the standards necessary for you as well as the body that you wish to get certified by. In this case you need to apply in a prescribed form that varies with respect to the registrar. The application should ideally mention a few obligations and rights of you as well as the parties involved in providing the certification. It should also include the likes of liability issues, access rights, and confidentiality. 2. After this the registrar would review the documents that you have sent across. It would review all the documents and quality manuals for the different processes and policies that you are following in your organization. By reviewing these papers it would be able to find out if there are any gaps in your system or not. 3. After this the pre-assessment requirements would be decided. In this case the quality management systems in your organization would be reviewed with the aim of finding out major omissions or weaknesses. In these cases, the registrar would give you a chance to correct all those mistakes before it starts with the regular registration assessment. 4. After this you would have to come up with an action plan. You would have to do this after the gaps in your organization have been identified by the registrar. Your action plan should contain a list of the work you have to do in order to satisfy the required standards. 5. After this the registrar would physically visit your organization in order to audit how well the changes have been done. If in this period the registrar finds that there are issues with your efforts to meet IOS standards it would issue findings on the basis of the severity of the same. These processes are also referred to as nonconformities and they are classified into two categories – (a) minor non conformance and (b) major non conformance. The first one takes care of minor system failures and minor procedural infractions with regards to meeting the standards of ISO. Second one takes a major non conformance is a situation where there is a chance that nonconforming products may get sold to customers. It could also be a situation where the quality system has broken down in such a way that it has become inefficient. 6. In order for the registration process to go ahead you would have to make sure that all the nonconformities are ended. The registrar would need to verify the same as well. This calls for re-audits and the costs go up in these cases as well. You would get the certificate when you have solved all the problems and your ISO audit report has been updated as well. Normally, this process takes around 6 to 8 months to be completed in case of the smaller organizations, 8-12 months in case of the medium organizations, and 12-15 months in case of the biggest organizations. The cost in this case also varies from one organization to another and depends on factors such as the number of employees and processes that you have. You need to keep in mind in this regard that surveillance audits would keep happening after you have received your certificate. This would be done in order to make sure that you are adhering to the standards. There is a definite interval at which this happens. How to Get FSSAI Food Registration License? How to Get MSME Registration in Bangalore Karnataka? How to Get IEC (Import Export Code) Registration in Bangalore? The term GST (goods and services tax) return could be interpreted as a document that has the details of income that a taxpayer – you – is supposed to file with administrative authorities that look after taxes. The tax authorities would use this in order to compute the amount of tax that you are supposed to pay. A return is a combination of certain documents comprises with sales and purchases details of a business organization which need to be file with the GST Department monthly/ quarterly and annually with respect to the nature and activity of business. In case of GST if you are registered as a dealer; your GST return should include details like your purchases, sales, output GST on sales, and input tax credit, which is GST paid for purchases. In order to file GST returns you need to furnish the purchase and sales invoices that are compliant with GST. Such invoices formats are available for free on the internet and a GST service provider can also provide you this. Who should have to file GST return? Every person who has registered under GST will have to file returns in some forms and others as per their business activity. A registered person has to file GST returns either monthly (for normal supplier) or quarterly basis (the supplier opting for composition scheme). An ISD (Input Service Distributor) has to file monthly returns showing details of credit distributed during the particular month. A person required to deduct tax (TDS) and persons required to collect tax (TCS) will have to fie monthly returns showing amount deducted/ collected. A non-resident taxable person will have to file returns for the period of activity undertaken. As far as the GST regime is concerned, a normal business has to file a yearly return and two monthly and quarterly returns sometimes. This makes it around 25 returns for a year. The system has been created in such a way that you need to manually provide the details of only one monthly return – GSTR-1. The other return form GSTR-3B gets populated by itself by taking details from the GSTR-1 that you and your vendors have filed. However, in case of special businesses like composition dealers you would have to file separate returns. Which type of taxpayers needs to file annual return? All the taxpayers those are filing return in GSTR-1 to GSTR-3, are required to file an annual return. So all registered businesses under GST have to file GSRR-9 annually. Which type of taxpayers needs to file monthly and quarterly returns? Taxpayers who’ve registered under GST, they have to file their return monthly; expect those who have opted for Composition Scheme. For that reason, the composition scheme is required to file quarterly in GSTR-4 Form. Is it mandatory to file nil GST return? Yes, it is compulsory to registered registered taxpayers. In case you have no sales and purchases for the month, you've to show your nil return for that month. To file returns of your business, you have to know the requirements, forms, due dates and understand the procedure required to apply for Goods and Services Tax (GST) return online in Bengaluru. You could also take a help form the professionals who will clarify, simplify and suggest you for proper way. We call it, experts help & guidance. However, these days it is becoming easy and more possible for your businesses to file GST return online in Bangalore. Even if you cannot do it yourself you need not worry as there are service providers such as BusinessWindo we are here with the precise intention of helping you with such work. We are in this field and have professional experiences and experts can help you to get access to the official portal of GST and file your returns through there. If you need our assistance all you need to do is go ahead and get in touch with us. You can be sure that your work would be done. Here’s we summarized the procedure to get a clear-cut idea on GST return filing. There are four major steps that have to be followed for online GST return filing in Bangalore. Step-1: In the first step, you need to visit the GST Portal and login with your existing user ID as well as password. Step-3: Third step is the major step for filing return of GST; here whatever Forms you want to file can choose from this tab like GSTR-1, GSTR-2, GSTR-3B, GSTR-4, GSTR-5, GSTR-6, GSTR-7, GSTR-9 and etc. or the type of returns you want to do file as per their due date and submit all data according to that. For taking an Example, you could go ahead for GST-3B return tab. Here in this case of GSTR-3B, you need to put in your sales amount along with the tax and purchase amount along with the input credit. Remember while filing the Form GSTR-3B, whatever details you’ve inputted; it should be matched to GSTR-1 and GSTR-2. Otherwise questions will arise, you’ve to clarify for that and you don’t able to pass the credit to the customers. Step-4: After that you need to create a challan for the return and pay the requisite GST. Step-5: Then you’ve to submit your return through Digital Signature (DSC), in case you are a company/ LLP; otherwise can verify through Electronic Verification Code (EVC) for partnership/ proprietorship and others. We need these documents and detail information from business side which helps us to file return for your organization. There are no set documents that are needed as such when you are trying to file your GST returns online. You mainly need to have sales invoice of goods and service that are liable to be taxed in this particular regard. This means that when you file your GST returns there are some guidelines that you need to follow. You have to prepare each and every invoice exactly as it has been stated for the same in the rules and regulations of GST. You need to maintain both online and offline bookkeeping records. How to check GST return status in India? Click on Return Dashboard, select the Financial Year and Return Filing Period (month) for what you want to see the status and click on Search button. If it is filed, it will show the status as “Filed” for GSTR-1/ GSTR-3B and etc. ; otherwise it will display Due Date of month which needs to be file. And you can download the filed return as PDF format. Here we have given a just hint on common returns; apart from this, other returns are there and it is nicely written in ClearTax you can follow it. The CGST (Central Goods and Services Tax) Act mentions the different types of GST returns to be filed by various kinds of businesses. 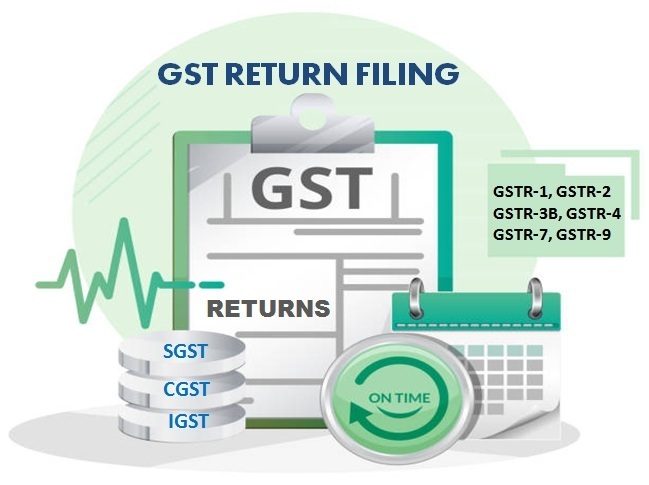 The regular businesses need to file 4 returns that are to be filed each month – GSTR-1, GSTR-2, GSTR-3, and GSTR-3B, and a yearly return named GSTR-9. In case a dealer has opted for a composite scheme it would have to file a return at the end of each quarter named GSTR-4 and a return named GSTR-9A, which needs to be filed each month. Form GSTR-1 is for businesses that earn INR 1.5 crore a year and more, and have opted for quarterly filing. In this case the filing for the period from January to March has to be done by 30th April, the filing for the period from April to June has to be done by 31st July, and the filing for the period from July to September has to be done by 31st October. One assumes that in case of the period from October to December the filing has to be done by 31st January the next year. If you do not file your GST returns within time you would have to pay a late fee as well as some interest. The interest is determined at the rate of 18 per cent each year. You need to calculate it on the basis of the taxes that you are yet to pay in this regard. The time period in this case is from the next day of filing till the date of payment. The GST Act says that for each day of being late the penalty is INR 100. This means that it would be 100 as per CGST and 100 as per SGST (State Goods and Services Tax). The term GST refers to goods and services tax, a tax structure brought about to replace all previous kinds of taxes such as sales tax, service tax, and excise duty, to name a few. GST registration is needed if you are selling goods and services in excess of INR 20 lakh a year. However, experts would tell you that you should register for GST even if your annual sales are lower than that and there are some good reasons for that as well. Without GST registration you would not get tax refunds on purchases and you would be unable to sell the products or goods outside of your state as well. It normally takes around 2 to 6 working days in order for an applicant to be registered for GST. Thankfully, these days there are plenty of service providers that can help you with the likes of GST registration services in Bangalore. What are the different kinds of GST? Why are they necessary? India is a federal country, which means that both the central government and the state governments have the power to levy and collect taxes. The tax structure of GST has also been determined keeping this in mind only. There are three main types of taxes in this regard – CGST (central goods and service tax), SGST/UTGST (state or union territory goods and service tax), and IGST (integrated goods and service tax). CGST: CGST is a tax that is levied on the intra state supplies of goods and services. It is the Indian government that levies the tax and the entire thing is done under the guidance of the CGST Act. This means that if you sell goods outside your own state this tax would come into play. The highest rate of taxation in this case at present is 14 per cent. SGST/UGST: SGST or UTGST is a tax that a state or union territory government levies on the interstate supplies of goods and services. This means that the tax would come into play when you supply goods and services within your state. It is the SGST Act that governs such levies. IGST: IGST is the tax that is levied under the IGST Act and is levied on imports and exports to and from India. The main purpose of such taxation is to make sure that both the central government and state or union territory governments can get an equal share of the revenue that is being generated by way of these taxes. There are five main rate slabs in the GST structure – 0 per cent tax slab, 5 per cent tax slab, 12 per cent tax slab, 18 per cent tax slab, and 28 per cent tax slab. Who is Liable to Register Under GST? A taxable person who is doing business or engages in ecommerce activity or supplying in goods/ services in any places of India has to acquire the GST registration under Section 22 or Section 24 of GST Law. The registration of GST happens to be based on PAN (permanent account number) and is state specific in nature. If you are a supplier who works in a number of states as well as union territories you would have to register in each one of them. 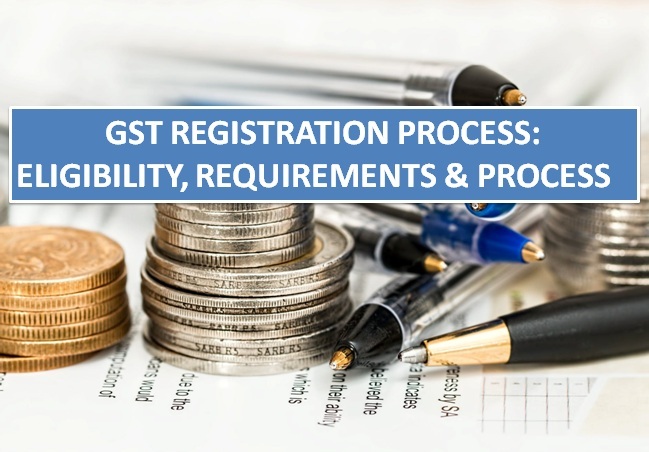 There are certain conditions fulfilling which one should register for GST. If you earn INR 20 lakh from sales all across the country you have to register for GST. In the northeastern states this limit is at lower than INR 10 lakh. If you are presently registered under any indirect tax such as VAT (value added tax), excise laws or service tax laws you would have to get registered for GST. If you have branches in various states or a number of businesses at the same time in a state you would have to register for GST. If you have to pay taxes under reverse charge you should register for GST. This is applicable when your supplier has not registered for GST. If you are input service distributor or are supposed to deduct taxes at source you have to get registered for GST. The same is also applicable if you work as the agent of a supplier. If you provide goods and services through an ecommerce operator you would need GST registration. This is also applicable for the ecommerce aggregators and operators such as Flipkart, Amazon, and Uber that operate under their own brand name. If you are in the business of supplying database retrieval and access services, and online information from outside India to people in India with the exception of a registered taxable individual you ought to be registered for GST as well. Who are exempted to register from GST? Those who are supplying non-taxable or exempt goods/ products, they are not required to register under GST. What are the benefits of GST registration? When you are registered under GST you would receive a number of advantages as a taxpayer. Legally, you will be recognized as a supplier of goods or services. Your porper accounting of taxes paid on purchased goods or services helps to maintain GST due on supply or sales of goods or services. You would have the authority to collect taxes from your customers and pass on the credit of the taxes that you have paid to them. You can also claim input tax credit of all the taxes that you have paid to your suppliers and can use the money to pay for other taxes that are due to be paid by you. At the national level GST allows for smooth flow of input tax credit to the recipients from the suppliers. First of all, you would have to visit the official website of GST Portal and click on Service tab, then Registration and then click on New Registration for fresh GST registration. The applicable form in this case would be GST REG-01. Here you would have to fill up Part A with important details such as Select the Type of Taxpayer, State/UT, District, Business Name, PAN, Email ID and Mobile Number. After this there would be an OTP (one-time password) verification. After this you would get a Temporary Reference Number (TRN) on your mobile phone as well as email. After this you would have to fill up Part B by selecting Temporary Reference Number (TRN). At this stage, you would have to fill the details of your business and upload certain documents regarding to it. Then you have to sign it using your DSC (digital signature certificate) or EVC (electronic verification code). After this you would get the Application Reference Number (ARN) acknowledgment form GST REG-02. In case the GST department asks for any information or provides you any intimation through the Form GST REG-03, you can upload that through form or visit the department yourself. Then you would need to provide the necessary clarifications and produce some documents within a space of 7 working days. This needs to be done through GST REG-04. In case there are any errors in your application the office could reject it and you would get information of the same through GST REG-05. The registration certificate of GST would be issued to you in the form of GST REG-06. What are the documents needed to register for GST? We would like to tell you one thing that Government is not charging any fees for the GST registration in India; means no need to pay any fee for GST registration on GST Portal. But for doing this, professionals (CA/ CS/ CMA) are charging some fees. However, this process is a little bit longer, requires lots of information and scanned documents to input for the business. You can opt for BusinessWindo in this regards, our Professional charges starts from Rs. 2500; you will be assisting by our well experienced experts up to end-to-end process and it is excluding from GST return filing. What are the penalties for not registering with GST? The GST Act specifies some strict laws for businesses that do not comply with GST regulations. In case you do not pay the full amount, you would have to pay 10 per cent of the unpaid amount or INR 10,000 for tax evasion. At the same time if you do not pay the taxes the penalty would be 100 per cent of your due taxes. How can we help you in this regard? These days, there are a number of companies that are offering services such as GST returns filling for businesses in Bangalore, and online GST registration services. They are helpful organizations, really helping the business entities to come out from certain sorts of GST dilemma. So, as you can see, you can basically get all the services that you need from our expert CAs (chartered accountants). We have been in this business for a long time and helped plenty of businesses like you before. You can trust on us to do it better for you as well. GST is something that is necessary for your business. If you are eligible for that as per GST Law; go for that, which help you to grow and legalize your business. In India there are some definite rules that you need to follow in order to change the kind of company that you are. There are forms to be filed and documents that have to be provided. Then, there are authority bodies whose rules and regulations you need to follow and whose decisions you need to honor. In this article, we cover the conversion process of Pvt Ltd Company into Public, Limited Liability Partnership, One Person Company, Trust, Section 8 Company and NBFC. The first thing is that you need to do in order to change from a private company to a public one is to call a board meeting. The notice has to be issued just the way it has been stated in the Section 173 (3) of the Companies Act, 2013. The main agenda of the meeting would be to make sure that the directors approve, in principle, your conversion to a public company through alterations made to the Articles of Association (AOA) and Memorandum of Association (MOA). The second step requires you to issue a notice for an EGM (extraordinary general meeting). The notice would have to be issued as per the way stated in the Section 101 of the Companies Act, 2013. In the third step you would have to hold the EGM itself. The meeting has to be held on the date that has been specified in the notice issued for the purpose. Here you need to pass the special resolution whereby shareholders agree to the change. In the fourth stage the ROC (Registrar of Companies) form would have to be filed. Here you would need to file two e-forms – e-form MGT 14 and e-form INC 27. There are also some important documents that need to be submitted in this regard. After this your documents and other submissions would be scrutinized by ROC. Before it issues the certificate, it should be satisfied that you have done all that you need to do. Once you are able to convert to a public company there are some formalities that you would need to take care of. The process of changing a private company into an LLP is rather straightforward. First of all you have to call a board meeting where you decide to change the name of the company making sure that it ends with the word LLP. A resolution needs to be passed for that purpose. Before you do this however, you need to get the DIN (director identification number) for your designated partners who do not have it already. In the second stage you have to file for approval for the new name of your company. For this you need to file the e-form LLP-1. Here you need to attach the special resolution passed by the board of directors regarding said conversion. After this, ROC issues the name approval certificate. In the fourth stage you have to file the incorporation documents with ROC. Here you need to file the e-form LLP-2. Certain important documents such as proof of address need to be furnished at this stage. In the fifth stage you need apply for conversion along with the e-form LLP-18. In the sixth stage you need to sign and submit the LLP agreement. This needs to be done within 30 days of having received approval for the forms already mentioned. Here you need to file the e-form LLP-3. After this, if everything is okay the respective department will issue the incorporation certificate. Then you would have to intimate the conversion to the registrar along with the e-form LLP-14. Just like other kinds of companies in India there is a definite procedure that needs to be followed when you are changing a private company into an OPC. The first thing that you need to do is call a board meeting. After that you have to issue the EGM notice to all the members, the auditors, and the directors of the company. This needs to be done as has been stated in the Section 101 of the Companies Act, 2013. After that you need to hold a general meeting. The fourth step over here calls for you to file an ROC form. Here you would need to file the special resolution that has been passed by the shareholders for said conversion. This form – MGT 14 – has to be filed within 30 days of passing the special resolution. Here you also need to furnish the prescribed fees along with attachments such as a notice of EGM and a certified true copy of the special resolution. In the fifth step you would have to file an application in form INC 6 along with fees as prescribed in the Companies (Registration Offices and Fees) Rules, 2014 and certain important documents. One of the documents is a declaration of the willingness to convert. In the final stage ROC would review all the forms and documents submitted by you and issue to you the certificate that says that you are now an OPC. There are three simple steps that you need to follow in order to change your private company into a trust. First of all, you need to apply for name change. You need to do this with the ROC in your state. Normally, in this case you would be using the e-form INC-1 to make the application. You would also have to submit INR 1000 along with the application. This can be done through your net banking or credit card. In the second stage you have to apply with the form RD-1. In this case too, the application would have to be made to the concerned ROC and form INC-12 will have to be attached to form RD-1. Here you would need to submit a number of important documents such as the draft MOA (Memorandum of Association) of the new company. This needs to be done according to form INC-13. Along with it you have to submit the draft AOA as well. You also need to provide a declaration in Form INC-14 with statements from an advocate, a cost accountant, a chartered accountant, or your company secretary. You also need to furnish a statement showing your liabilities and assets on the date when you applied or at least 30 days before that. In the final stage, once you are approved, you need to issue an advertisement in the newspaper where you intimate all regarding the change. There are four major steps that you need to follow in order to change a private company to a Section 8 one. In the first stage you would need to apply for the reservation of your new company’s name. This application needs to be made with the ROC in the state that you are looking to operating in. In the second stage, you would have to apply for conversion through the e-form RD-1. You also need to submit some fees, as has been prescribed in these cases. You also have to submit certain important documents such as form INC-12 along with the application in these cases. Some other important documents in these cases are the draft MOA and AOA of the company that you are about to form. In the third stage you would have to issue a notice in the newspaper whereby you inform people of the application made for the conversion. This notice would be issued in form INC-26 and has to be done within a week of having made the application. Do remember that you would need to pay for this from your own pocket. In the final stage, ROC issues you the license in order to operate as a Section 8 company. The license would be granted under Section 8 of Companies Act. 2013. This is normally done following consultations with other authority and regulatory bodies in the state government and the central government. There is no need to change a private company into an NBFC as such. At least, there are no elaborate procedures that need to be followed in this case as you would do with the other types of companies that we have dealt with over here. The major reason for such an assertion is the fact that here you are not changing the type of your company. You are merely starting a type of business. At any rate, if you wish to work as an NBFC you need to apply with the apex banking body in the country – the Reserve Bank of India. The first thing that you need to do in this regard is visit the regional or zonal office of RBI in your area. It is here that you would get all the information on the forms that you need to fill, and the annexure and disclosures that you need to furnish with your application. As has been mentioned in the Companies Act, you would need to amend the main object clause of your organization so that you could include the provisions necessary for working as an NBFC. How to Register or Incorporate a Company in Bangalore, Inida? How to Change the Registered Office Address of a Company? How to Change the Name of a Private Limited Company? Company Registration – How to Register a Company in Bangalore India? Nowadays registering a company in India is easy and simple through MCA (Ministry of Corporate Affairs), it is making simplified procedure for entrepreneurs to register their business in a quick process of short time. But before we are moving to the topic, I want to share a little information about India’s business environment ambiance. According to the survey of World Bank’s Doing Business Report 2018; India ranked 100th place out of the 190 countries and one of the top five reformers on holding conducive business environment as stated by the report. You will find another scenario of India about easy of doing business. India advanced 23 points up to 77th place rank in World Bank's Doing Business index for 2019, from 100th in 2018 and 130th in 2017. India is becoming the top ranked country in South Asia for first time and 3rd among the BRICS. India is creating better investment climate for budding off creative and innovation business ideas. Innovation and creative enterprises are the foundation of making India a developing nation. Government is already planned to wheel a new industrial policy which would lead the India to make the business more competitive and create more jobs, according to the Department of Industrial Policy and Promotion (DIPP). And it is already presented in Cabinet for approval. The proposed policy will be focused on three pillars such as Competitiveness, Sustainability and Inclusion. Emphasis on reducing the cost of business if the industry has to become competitive. The policy proposes on the establishment of Centre and States; which is similar to GST Council like body that will enable the quick decisions on key changes such as the renovate of labour laws, taxation provisions and land leasing. The policy proposes a direct benefit transfer (DBT Mechanism) for power subsidy to reduce the industrial electricity tariffs. Government wants to make India as the world’s next manufacturing hub and aimed to creating millions of jobs and boost growth. On this part, the government has also launched various enabled programs such as Startup India, Make In India, Digital India, and Skill India over years for fostering the growth and development of the entrepreneurial spirit in the country. Startup India scheme is one of such flagship for nurturing the innovation and startups in the country. Apart from Startup India, the recent Union Budget has also announced a slew of measures to strengthen the entrepreneurship climate for startups in India. This is the nice time to start your business and devote your time to build it and create a good customer relationship. Before jumping towards to register a Pvt Ltd or OPC or LLP or Partnership or Proprietorship or Public company or etc; an entrepreneur might be clear about the things such as companies requirements, why a company needs to be registered, details particulars required from promoter/ director or subscriber, at where you want to start your business, documents required for company registration, company incorporation process, minimum requirements to form a company and points to remember while forming a company. Why an Entrepreneur must Register his/her Company or Existing Business? Let’s move to the point by starting from a company. By Definition: A Company is a registered organizational institution or corporation which can be established by one person or group of persons to perform their business for profit or not-for-profit under the Companies Act, 2013. It constitutes the aim of common goal called business by its unique name, members/shareholders and directors. After company incorporation/ registration under the Company Act, 2013; company becomes a legal entity and it gets its rights and responsibilities defined by the law. Simply put, a Company is a corporate body and legal entity engages in business by made up of on association of both natural and legal persons for carrying on commercial or industrial enterprises and is incorporated under the existing Company Law as stated by the Companies Act, 2013 of the country. Company registration the words its sounds good and also its features are good; it is the legal process where a company or an organization can register/incorporate its business structure in MCA (Ministry of Corporate Affairs). After getting registration, the entity would get the certain benefits which must be needed for it and through this it can acquire a huge trust from customers and build a good relationship. Before registering a company you must check your desirable company name online in MCA portal; and see is it available to you or not! It means a company or a business register its name, office address, directors name and subscribers in MCA through the regional Registrar of Companies (ROC) offices to get certain legal protections and facilities to start, run, manage and grow the business. Because we are in a system and this system creates opportunities to enter into a big corporate world. So we need to take the advantages and move ahead of the curve. There are various types of companies you can find here to register in India. Here you can take a look at the following types of business entities are available to form. Why You Must Register Your Company or Existing Business? Creating business for people is not about to bothering but helping to them. Aspiring entrepreneurs always desire to make it big and do the valuable things to achieve the goals in their business life. To succeed in business life, it does not require any management degree, it requires how valued your products or services as per price and how you are dealing with customers. Giving first priority to customer is the main funda of business. There you can find many stirring real life stories of successful people who have succeeded as entrepreneurs but they did not possess any management degree. Also you can find various businessmen’s proof that a business doesn’t necessarily required any management school certificate but an idea, innovation, thought, an ability to dream and a lot of conviction to make a mark. So an entrepreneur (you) should have to be creative, imaginative, skilled, dedicated and responsible. Being an entrepreneur means you always have to wear multiple hats and roles for your business. You are thinking to enter into entrepreneurship career to reach in your goals. As you are going to setup a new company or running an established business, then you ought to have a registration to place your company on top rank among the corporation field. It is very important that you can get your proper return of each and every pound of money that you are going to invest or invested in your business. People register their business by validating their business ideas. And registering a business is important to get the advantages of corporation name and when you register it, it is even more important. So go ahead and register your business even before you find your first customer and make your first money for company. For this reasons, it is necessary to incorporate your company or existing business to avoid some legal actions of corporate affairs. Absolutely out of many expenses you have to spend some thousands of money for your company registration during the starting of company or business. To get benefits and protection from this we can’t avoid it, we can say there are several reasons for company security like protection of assets, securing your products, satisfying monetary requirement, big name business, etc. That’s why India has put his head to business power, now it is going to be a hub of business sector by creating development in innovative thoughts to stand by the worldwide. India is a land of opportunity where you can spread the seeds of business thoughts and implement it perfectly to get the successful results. So because of this, American and foreign renowned business magnates are talking about the invest hub of India. When you are going to form a company in Bangalore, Karnataka or any other cities in India; you should have to think it globally but act as local and for this, certain factors need to be considered for preparing a business plan to setup your company smoothly. So these are the six factors where you can get the clues to invent your business journey. Here you can look over the different phases of the business creation process during formation of a company. According to the Section 3(1) of the Companies Act 2013, that a company may be formed by you and your partners for any lawful purpose act. Here you can look over the minimum number of persons or members required to form a various types company. Public Limited Company: It required minimum seven or more persons/members to form a public company. In this company, it must have at least 7 directors and minimum paid up share capital is INR 5,00,000. Private Limited Company: It required minimum two or more persons/members to form a private company. Means, it must have at least 2 directors to incorporate a Pvt Ltd Company and minimum paid up share capital of INR 1,00,000. One Person Company: Only a natural person who is a resident of India, stayed in India at least 180 days can form OPC. It is also called One Person Private Company which needs only one member/person to operate the business. Means it must be only a single director. The other person can be nominee for this entity. Limited Liability Partnership: LLP provides the benefits of partnership and flexibility of limited liability. It must have required at least two members to incorporate a LLP company. Partnership: A Partnership business consists of two or more persons. There is no minimum capital required to form a partnership startup firm. Sole Proprietorship: It requires only one person or member to form it. The person of the firm is treated as owner or proprietor and has full authority to control over the business. Bank Statement, Electricity Bill, Telephone/ Mobile Bill (it shall not be more than two months old). As per the Rule 16 of Companies (Incorporation) Rules 2014, these particulars of every director/ subscriber need to be filed with the Registrar at the time of incorporation such as name including surname or family name, recent photograph, father’s/mother’s name, nationality, date of birth, place of birth, educational qualification, occupation, income tax permanent account number, permanent address, present residential address, present office/business address, Email ID, Phone number. NOC (No Objection Certificate) from the owner of the address for carrying the business as registered office. Registering a startup company or a new business has become pretty easy now in Bangalore, India. This formation of company is a process which results in incorporation of a company into the corporate world. And this is the way where you can acquire the registration certificate for your company. Before registering your company you should understand and appreciate the benefits of getting your business registered. All company incorporation can takes place online through the Ministry of Corporate Affairs (MCA) with the help of your Regional ROC under the administration of Companies Act 1956, 2013 and 2014 with their rules and regulations of Government of India. This registration process can be done only in government department portal i.e. www.mca.gov.in and nowadays everything regarding to company registration you can do through online. You can go through the official procedures to register a company or startup just in 1 day with MCA now. The best part of all is that you (one) don’t have to visit to corporate office; you can apply for company registration just sitting in front of a computer at your home with a good internet connection and some necessary equipment accessories. And you should also have some essential soft copies of legal documents at the time of application process. But you must need a CS (Company Secretary)/ CA (Chartered Accountant) / CWA (Cost and Works Accountant) or CMA (Cost and Management Accountant) membership number, seal and signature for your company application process, if you can do it, that would be better or you can hire a company registration agency they can assist you to complete your all company work. Otherwise we will help you to get registered your company and provide the certificate/ license to your incorporated company as well as your new business easily. These are the 7 major steps to incorporate a company in India. So we have taken this accordingly. Here, we explained the 8 steps below which is must required to register a company. Please have a look over this and get the proper idea and understanding the process about company registration journey. What is a company name: Company name is a typical name of a business or organization that reflects the overview of the company. Choosing a unique company name is a major factor for your business because it depends on you which type of products and services you are developing and selling in market. Name should be informative and mind catching when a costumer heard or saw can know immediately by the name that what your business is based on. Company name serves as trade name of a company or business. This is a legal and business identity of a company. A name of company reflects its brand image through this a company can promote their brand by creating good customer relationship throughout the products/services. For selecting the very first name of company like Private Limited Company, One Person Company, Limited Company and LLP Company is one of the most regulated and complex exercise. It should clearly state the nature of the business of the entity. The First name describes or indentifies the main activity of the business or company. The company name shouldn’t be identical to the name of an existing company which has already registered under Companies Act, 2013 or any previous company law. According to proviso the Rule 8(2)(b)(ii) of the Companies Incorporation Rules, 2014, every company's middle name need not to be necessarily suggestive for the objects of the company; but in case, if there is some indication points out about the objects in the same name, then it shall be kept in conformity with that objects as mentioned in the memorandum. The Name shall not be allowed if, it is not in congruence with the primary/main objects of the company as it is mentioned in the memorandum of association (MOA) at the time of their business journey. In the case of a Private Limited Company the last words used as “Private Limited” or Pvt. Ltd.
A Not for Profit or Non-Profit company incorporated as per Section 8, but they can’t use “Limited” or “Private Limited” as last word. The Central Government amended the Companies (Incorporation) Amendment Rules, 2018 which came into force from 26th day of January, 2018 to make simple, faster and easy process for company. Before you are applying for name reservation, first you/ applicant have to create a user account in MCA portal by generating through your suitable credentials and that User Login ID, which will help you further for submitting and uploading the SPICe, INC-12 and INC-24 Forms at the time of incorporation. For reserving the name of a company, the applicant has to apply to MCA through RUN service, but previously it was applying through INC-1 e-Form. 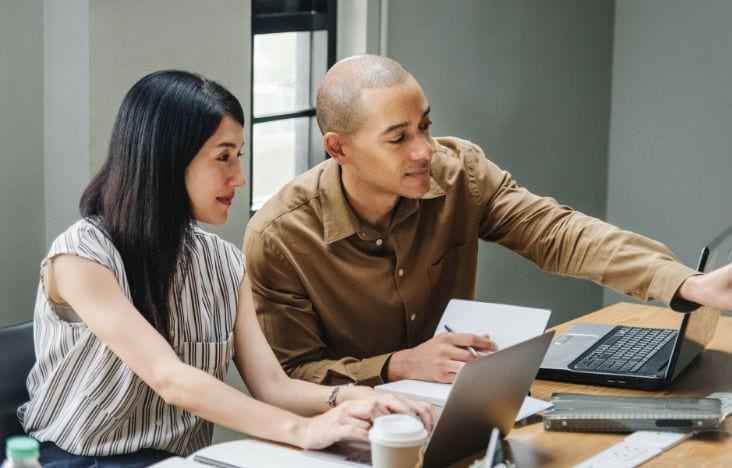 But, now RUN service replaced the INC-1 eForm to reserve a name without requiring DSC and DIN of proposed directors which leads a faster and simplified procedure to get approval quickly. As per Section 4(4) of the Companies Act, 2013; a person may make an application of the proposed company or existing company proposes to change its name in such a form and manner accompanied by such fees as it may be prescribed to the Registrar for reservation of name. Check the Trademark Search to ensure that the proposed company name should not be violating the provisions according to the Section 4(2) of Companies Act, 2013. If it falls means there is a possibility of rejection. As per Rule 9 of Companies (incorporation) Rules 2014, an application for the reservation of a name shall be made through the web service which available at MCA portal by using the RUN (Reserve Unique Name) along with the fee as provided in Companies Rule, 2014 with regarded to Registration Offices and their Fees. In RUN service, an applicant can apply for two proposed name by choosing its entity type and entering the objectives and any other relevant information in Comments section in support of the purposed name. The requested name for approval may either be approved or rejected; it depends upon the rules and regulations of company law. It should follow the Section 4(2), 4(3) to avoid the rejection. The applied name will be checked and processed by Central Registration Center (CRC) and the approval or rejection shall be informed you by e-mail subsequently. Note to User: As we mentioned above, the name applied for reservation will either be approved or rejected and there is no free resubmission is allowed. For every resubmission of application, the applicant has to pay a fresh payment of Rs. 1000 using the RUN service. This is the second step to incorporate a company is to getting the Digital Signature Certificate (DSC). DSC is an electronic document is required to sign digitally on all documents which are submitted online. And it ensures the authenticity of Information Technology Act, 2000 for the submitted documents. It is a legal support to the documents same like as presence of physical signature. Every individual who proposed to be appointed as a director of the company shall have to obtain a DSC. DSC binds together a public key with an identity and it can be use to verify a public key belongs to a particular person or entity. This certificate serves as proof of identity of an individual person for a certain purpose. We can take an example like a driver’s license (DL) which identifies someone who can legally authorized to drive a specific form of vehicles in a particular country or state. In case of physical document we sign it manually similarly digital signature is used to sign on documents electronically. You can obtain your Digital Signature Certificate by approaching any one of the Certifying Authorities (CAs), registered with Controller of Certifying Authorities (CCA) from the Government department. And the listed agencies are such as: NIC, IDRBT, SAFECRYPT, (n)Code Solutions, eMudhra etc., which are solely available in MCA portal, granted to issue a DSC under section 24 of Indian IT Act, 2000. One can get his/her Class 2 or Class 3 certificates from any of the certifying authorities. If you are unable to get your Digital Signature Certificate or need any assistance, then contact us we will help you to obtain your Class 2 or Class 3 DSC in Bangalore within limited time frame. DIN (Director Identification Number) is a unique and legal identification number given to an existing individual or a future proposed director of any incorporating company. DIN was introduced in India as binding the Section 266A to 266G of Companies (Amendment) Act, 2006. As per the Amendment Act 2006, acquiring a DIN is mandatory for every director/ designated partner to incorporate their new company. This is the most pre-requisite identification of directors. So every directors of the proposed company shall have to obtain DIN from MCA by attaching the required documents. Any person intend to obtain DIN shall apply e-Form DIR-3 on Ministry of Corporate Affairs website. There is 1 to 7 steps procedure to apply DIN, you can follow through that or if you have any query relating to DIN can ask freely. If you are incorporating the company through SPICe (SIMPLIFIED PROFORMA FOR INCORPORATING COMPANY ELECTRONICALLY) e-Form, no need to apply DIN in DIR-3 Form. DIN for directors on new companies can apply through SPICe only. MCA made easy, simplified procedure and faster process to register your company across SPICe e-Form where you can reserve company name with the help of RUN (RESERVE UNIQUE NAME) Web service, apply DIN, incorporate the company and apply PAN & TAN of company only in a single Form. This is the best way to complete the major attributes of company registration process within a minimal time. The Memorandum of Association is the charter of company. It is a special document which defines the work area within which the company can operate. The proposed company is to be incorporated for what objects and any necessary matter might be considered when it is mentioned in advancement. In case of company limited by guarantee means it does not have share capital or shareholders instead the members are act as the guarantors, the liability of the members is limited; the nominal amount up to which every members of the company undertakes to contribute – (a) towards the assets of the company in the events of its winding up; (b) the expenses and charges cost to winding up shall be adjusted among the guarantors according to rights. The number of the shares of each subscriber to the memorandum indicates their stake in the company. As per Section 5(1), the articles of a company state that it should contain the regulations for management of the company. After receiving the name approval letter from MCA, the MOA and AOA are required to be drafted. It is the most needed components of a company as similar to constitution and rules & regulation. The MOA states the main and other objects of proposed company. It limits the scope of the activities and power of the company. The AOA contains the rules and procedures for the proposed company as well as duties and responsibilities of its members are defined and recorded clearly. A stamp duty is need to be paid during the application of MOA and AOA and this stamp duty determines the authorized share capital of the company. The Memorandum of Association (MOA) is a legal document prepared for setting up the company and its operations. MOA is the charter of the company it defines the scope of the company’s activities and its relations with the outside world. It is a document which carries all things where the company can operate itself. In simple word we can say, Memorandum of Association is a document that contains the entire fundamental information for company incorporation or formation. Articles of Association (AOA) are a document that specifies the rules and regulations designed for company operation, management and internal affairs. Usually Articles of Association is a document contains all the rules and regulations that govern the company. 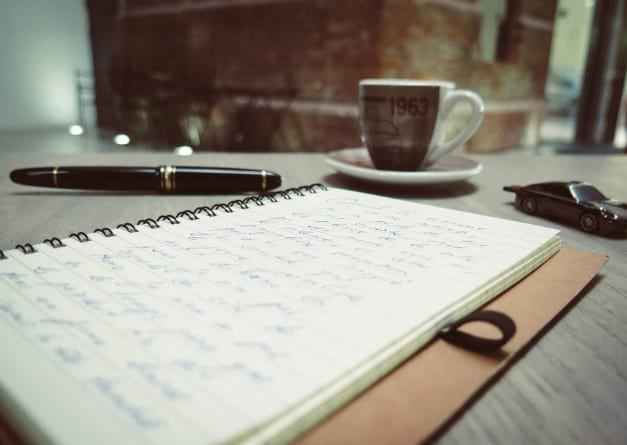 The articles of a company play a very important role in the affairs of a company and conduct its business as well as relations between the members and the company. Besides this, it is important that, AOA (Articles of Association) is the legal record which holds all the duties, responsibilities, rights of the company and distributes their powers to the members, shareholders and directors/partners of the company. AOA also incorporate the details facts of the company about their accounts and audit. Filing of Forms is a process to incorporate a company; it plays the vital role for company incorporation where all the essential documents you acquired for company are to be uploaded and submitted in this section. And here the application for registration of a company shall be filed with the Regional Registrar jurisdiction office in Form No. INC-32 (SPICe) along with the prescribed fee where the registered office of the company is wished to be situated. According to Section 7(1)(b), an Advocate, a Chartered Accountant (CA), a Cost Accountant (CMA) or a Company Secretary (CS) in practice has to file a declaration statements in the prescribed Form for engaged in the formation of the company. Rule 14 of Companies (Incorporation) Rules 2014 states that for the purpose of clause (b) of Sub-section (1) of Section 7, the declaration by an Advocate or a Chartered Accountant or a Cost Accountant or a Company Secretary in practice shall have to file in Form INC-8. Rule 15 of Companies (Incorporation) Rules states that for the purpose of clause (c) of Sub-section (1) of Section 7, the affidavit shall have to submit by each of the subscribers to the memorandum and each of first directors named in the articles in Form INC-9. Under Section 12, the company shall be capable of receiving and acknowledge all the communications through registered office address from the 15th day of its incorporation and all times thereafter. The company can furnish (produce) to the registrar verification of registered office within 30 days of incorporation. As per Rule 25(1) of Companies (Incorporation) Rules 2014, the verification of registered office shall be filed in Form INC- 22. As per Section 7(1)(e), it requires the filing of details of the subscriber’s name, together with the surname or name related to family, present residential address, nationality and such other particulars of every subscriber to the memorandum along with the identity and address proof and etc. you can follow this which we have mentioned above in “Document required from Subscriber” para. In Rule 16 of Companies (Incorporation) Rules 2014, it is stated that the particulars of every subscriber need to be filed in Form INC-7 with the Registrar at the time of company incorporation. Section 7(1)(f) requires the filing of the particulars of the first directors of the company, their names, including surnames or family names, the Director Identification Number (DIN), residential address, nationality and such other particulars including identity proof as may be prescribed in the form. Section 7(1)(g) states that the particulars of the interest of the persons mentioned in the articles as first director of the company is linked with other firms or body corporate along with their consent. In Rule 17 of Companies (Incorporation) Rules 2014, it is cited that the details of the first director and his/ her interest should have to be filed with the Form-12 along with his/her consent to act as the director of the company. After filing of e-forms, if all the documents are looks fine and ok, then the registrar is being satisfied with your submitted documents under the Section-7(2) and then ROC will issue your company Certificate of Incorporation in e-form INC-11. Now your company is incorporated under the Companies Act, 2013. This Certificate of Incorporation (COI) is given by the Registrar will be the strong conclusive evidence to your company and that all the compliance requirements of the Act have been complied through this. During the incorporation of company with the concerned regional ROC, under the Section 7(3) of Sub-Section (2), the Registrar would allocate a distinct alphanumeric Corporate Identification Number (CIN) to the registered company which shall be mentioned on the Certificate of Incorporation (COI) along with its approved name, date, categories of company and company PAN number. As per the Section 7(4), the company has to preserve all its original registered office copies of documents and information till its dissolution. This is the way to understand and learn the key points about company incorporation. And we believe that you know the process and it is not a small thing; it requires proper documentations and application. But here, we made a brief clarification of that process which contains the summarized facts which help you to understand and deploy it to register a company. The process of trademark opposition in India can be defined as a legal challenge where the litigant offers a high level of objection to a filed trademark that has already been registered. In these cases, the grounds of objection are normally solid and justified. There is no necessity that this would have to be filed by entity that happens to be the mark’s registered proprietor. These objections can also be filed by a customer or a buyer. In fact, anyone in the public who is likely to use the goods can file such a complaint as well. In these cases, the litigant does not really represent himself but the common public at large. Who can oppose the trademark application? The Section 21 of the Trade Marks Act, 1999 says that anyone can file the trademark opposition. As has been said already the term any person can include entities such as individuals, businesses, partnership organizations, companies, and trusts. In most cases the oppositions are filed by entities that own the trademark that is similar to the one being objected to. Normally, in these cases it is seen that the litigant has either registered the trademark or filed an application for it to be registered. The grounds on which a trademark can be opposed can be divided into a number of sections. Section 9 deals with the absolute grounds of refusal and Section 11 deals with the relative grounds. Apart from these two sections 13, 18 (1), and 14 also deal with such grounds. It must be said in this context that these grounds belong to the Trade Marks Act, 1999. The opposition could be filed on any ground. In most cases it happens because the trademark in question is similar, or even identical, to a trademark that has already been registered. Opposition can also be made if the trademark in question lacks any unique character as such. If the offending trademark is just descriptive or generic an opposition could be registered as well. Similarly, if it is capable of making the trademark of the complainant weak an opposition could be filed as well. In these cases, however the plaintiff’s trademark needs to be a well-recognized one. If the offensive trademark is capable of deceiving the paying public then an opposition can be lodged as well. The same is also applicable if the trademark is infringing the laws or happens to be prohibited by the same. An opposition can also be filed to a trademark if it has been named after an international nonproprietary name or a chemical element as such. In these cases, the opposition would be registered in accordance with Section 13. One needs to file the opposition with the Registrar within 4 months of the publication of the offending trademark in the Trade Marks Journal. The applicant needs to take care that the application for opposition is not sent straightaway to the IPAB (Intellectual Property Appellate Board). In which form does the opposition need to be filed? There is a prescribed format named TM-O in which this needs to be filed. Normally, when the applicant of the offensive trademark files a counter statement the opponent has to file the evidence within a period of 2 months of having received the same. The period in question can be extended by a month. This has to be done by way of affidavit. The complainant can also write straightaway to the Registrar that instead of filing evidence he would like to rely on the facts that he has already stated in the notice of opposition. If the applicant files any evidence in support of his own application the opponent would be given a period of 1 month, which can be extended by another month, to file evidence as a response to the evidence filed by the applicant. In order to file a trademark opposition a litigant needs to fill up form TM-O and also pay a fee in the region of INR 2500. It has to be filed at the office where the trademark to be opposed has been filed for registration.